For the tenth year, church volunteers have come together to present “Walk Through Bethlehem” as a unique Christmas gift to the Sanibel-Captiva-Fort Myers area. 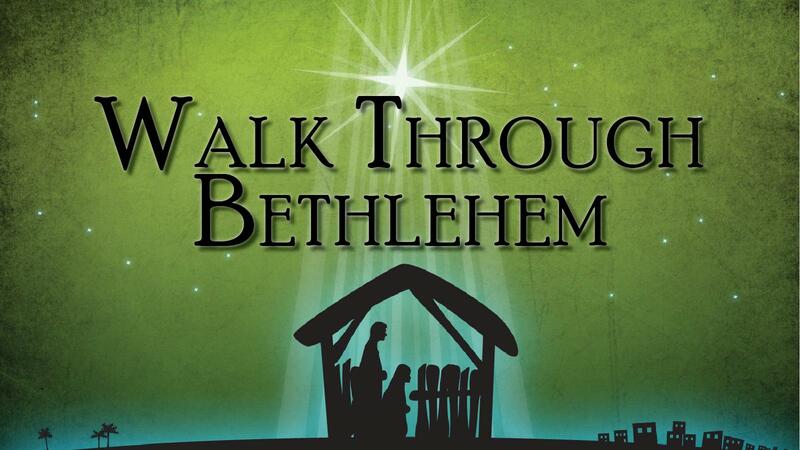 With charming sets and costumes, a cast of 30 actors and a live nativity scene, Walk Through Bethlehem recreates the ancient town of Bethlehem on the night of the first Christmas. Unlike other living nativities where the viewer gazes at one particular scene, Walk Through Bethlehem is a totally interactive experience, where “pilgrims” enter the village by foot and are immediately brought back in time to encounter the tax collector gathering gold coins for Caesar, Roman guards, census takers, shopkeepers and artisans. A sense of anticipation builds as pilgrims journey to the place where villagers and visitors alike gather at the manger scene, the event that changed history! Wednesday evening performances (7-8p.m.) offer an opportunity for visitors to avoid the Luminary night crowds. However, on Friday evening, outside of Bethlehem, costumed villagers mingle with modern-day sojourners as music from a live band fills the air. Visitors may wander throughout the courtyard where free refreshments are served or a variety of friendly animals await petting. Sojourners can also choose to visit the Women’s Guild Christmas Bazaar for early Christmas shopping. Once you’ve made your first “pilgrimage” to Bethlehem, surely it will become part of your most cherished Christmas traditions!